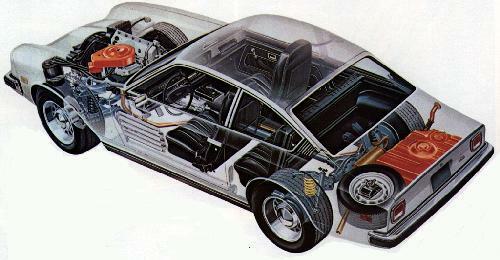 Clicking above will take you to a full size picture of a see through Chevrolet Vega from 1974. Notice the Side Impact beams in the doors, many cars today don't even have these. This site is about the car's past and my future with it and will hopefully provide some information you've been unable to obtain elsewhere. None of the information presented in this site is guaranteed to perform . If you install and or modify something and you injure and or kill someone in the process, you were warned. With that said there are MANY folks using these exact same techniques with zero problems. But if you don't know what you are doing and it looks complicated please ask a qualified mechanic for advice and or help! This The H07 Webring site owned by Vega Crazed.